Shane Long returns to the fold ahead of Newcastle's visit to St. Mary's. Florin Gardos remains sidelined, with Steven Davis ruled out of this one after picking up a knock against Leicester. Matt Targett is also rated as 50/50. Charlie Austin and Jay Rodriguez are both expected to feature in the matchday squad. PREDICTED XI: Forster; Cedric, Van Dijk, Fonte, Bertrand; Wanyama; Romeu, Clasie; Mané; Pellè, Long. GOALS: Cissé - 42', Wijnaldum - 48'; Pellè - 24', Long 79'. NEWCASTLE UNITED: Krul; Janmaat, Coloccini, Mbemba, Haïdara; Colback, Anita (Tioté - 68'); Obertan, Sissoko, Wijnaldum (De Jong - 81'); Cisse (Mitrovic - 75'). Unused Subs: Darlow, Taylor, Aarons, Perez. 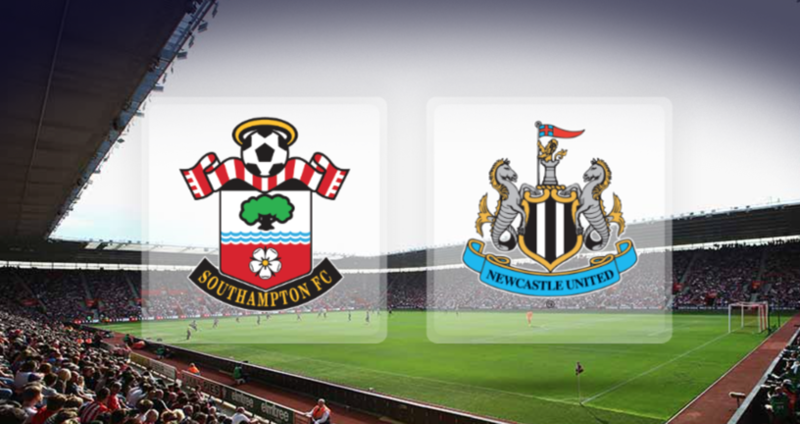 SOUTHAMPTON: Stekelenburg; Cédric (Martina - 45'), Fonte, Yoshida, Targett; S. Davis, Wanyama; Rodriguez (Long - 65'), Mané, Tadić; Pellè. Unused Subs: Gazzaniga, Caulker, Reed, Ward-Prowse, Juanmi. Shane Long equalised with 11 minutes remaining as Saints came from behind to grab a point on the opening day of the season. Ronald Koeman's men went into the lead after just 24 minutes when Graziano Pellè headed past Tim Krul after a long aerial pass from Cédric. Newcastle struck back, though, scoring within three minutes of the end of the first half and the start of the second. Papiss Cissé scored the first goal for the hosts when he chested in a deflected cross from point-blank range in the 42nd minute, before Georginio Wijnaldum headed past Maarten Stekelenburg to net a debut goal. But with 10 minutes remaining, Shane Long headed in a Dušan Tadić cross to ensure that the points were shared.